Beautiful, inspirational books with touch-and-feel on every page. 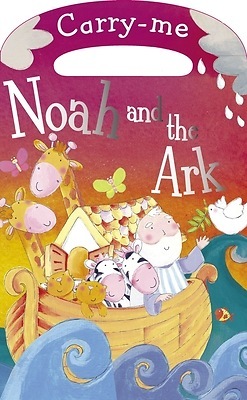 Carry-Me: Noah and the Ark is a wonderful new inspirational carry-me book for young children exploring the well-known Bible story. With touch-and-feel on every spread, charming illustrations, and entertaining text, the book isthe perfect introduction to this favorite Bible story and a delight for young children and parents to share together.